The Virginia Department of Environmental Quality plans to align the state with the Regional Greenhouse Gas Initiative, or RGGI, lowering carbon emissions by 3% each year. The initiative, originally proposed by former Governor McAuliffe’s administration, implements a cap and trade on carbon emissions. RGGI participants, currently including nine northeastern states, set up a budget for carbon dioxide emissions, capping the amount of carbon emissions each state allows. 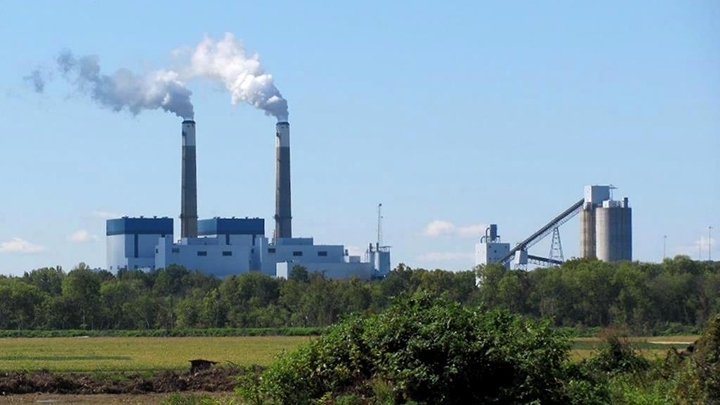 For every ton of carbon dioxide a power company emits when producing energy, it is required to purchase an equal amount of carbon allowances, auctioned off by RGGI states. Companies can buy and sell allowances depending on their emissions, thus creating a common carbon trading market among RGGI participants. Virginia's participation in the program however, would differ slightly from states who passed the initiative legislatively. Though the state has claimed authority to participate in RGGI with the goal of lowering carbon emissions, Dowd says it does not have the authority to generate revenue. While participating RGGI states raise funds through direct involvement in the RGGI auction, the Virginia plan would operate a little differently. The plan is as follows: Virginia will allocate allowances to power companies depending on their energy output. Aligned with other RGGI states, this amount will be less than what the company would need to cover its total emission quota, creating incentive to lessen the amount of CO2 produced. If a company needed 100 allowances, the state may allocate 50, requiring the company to purchase the deficit of allowances in the RGGI carbon market. Virginia power companies would be required to consign the state-allocated allowances in the RGGI auction. The RGGI auctioneer would then compensate the company for its consigned allowances, generating revenue. The money from these transactions would be regulated by the State Corporation Commission, ensuring it goes towards offsetting energy rates, and not merely creating a windfall effect for the power companies. While other states can directly monitor the funds generated from RGGI auctions, Virginia will rely on SCC regulation and company adherence. Ratepayers may see as much as a 1.5% increase in their utility bills. Dowd says the ratepayer is not paying for the entirety of the company's allowance requirements, but only the deficit between the state allocated allowances and how many the company still needs to purchase to cover their emissions. If a company produces 100 tons of carbon dioxide and the state allocates 50 allowances, the rise in utility bills will compensate for the 50 allowances the company had to pay for out of pocket. Dowd said the Agency doesn’t expect the rate increase to be very high. “But in the scheme of things, given the public benefit of reducing carbon, we believe it’s a very cost efficient result for the benefits we’re getting from it,” said Dowd. The Department of Environmental Quality has held six public hearings on the plan, which according to Dowd, received mostly positive feedback. The DEQ will receive public comment until April 9th. Once the comment period closes, the DEQ will draft a final rule to be presented, Dowd says, sometime this summer. This article was reported and written by WCVE News intern Evie King.